Magento 2 Payment Restrictions extension by Mageplaza is a supportive tool which helps store owners to restrict the use of payment methods based on specific conditions such as store views, customer groups, countries/states, product attributes and more. Magento 2 Default only restricts the display of payment methods based on store views with some offline methods, Country and Order Total. However, there is the fact that store owners wish for more restriction rules to display payment methods depending on other conditions such as Customer Groups, Cart Condition, Timeframe or Sales rules. It is necessary that there should be an advanced tool which allows store owners to create payment methods which are allowed displaying based on specific conditions as mentioned above. Because the high-value orders are required the greater guarantee, store owners often prefer customers to pay via reliable payment gateways such as Bank Transfer, Paypal rather than the normal method as Cash on Delivery. With the orders of low subtotal, to avoid the high extra fee charged by payment third-party (banks or PayPal), the method as Cash on Delivery is more preferred. In case an order includes one or some special items which need higher security, store owners would like to restrict the order to specific payment methods to avoid risks. For example, the order including iPhone 8 Plus (PRODUCT)RED Special Edition requires payment via Bank Transfer. As some payment methods are not available in specific countries, the store owners would like to remove these methods to prevent the customers from being confused. This module allows store owners to restrict payment to specific shipping methods. This helps store owners can balance between the cost of delivery charged by the third-parties and the risky possibilities of the customer’ orders. For example, if customers select FedEx shipping method, they are required to pay via Bank Transfer. Otherwise, for free shipping, customers are allowed using Cash on Delivery payment method. Besides, the conditions to apply a payment method can be product attributes. The price of a product is determined mainly by its attributes. Hence, to prevent risky possibilities of orders (like abandoning orders), store owners have the demand for setting payment restriction based on the attributes of items. For example, a fashion shop selling a limited-edition bag made from genuine leather requires customers to pay via Bank Transfer Payment and does not accept Cash on Delivery. Another case is that the Cash on Delivery is applied for. 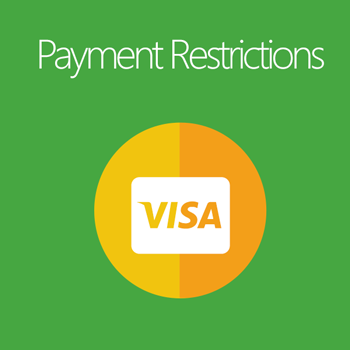 One of the key features of Payment Restriction is restricting payment methods depending on the cart total. It is understandable that store owners take special consideration for the high-value orders so they need the orders guaranteed by safe payment methods such as Wire Transfer. 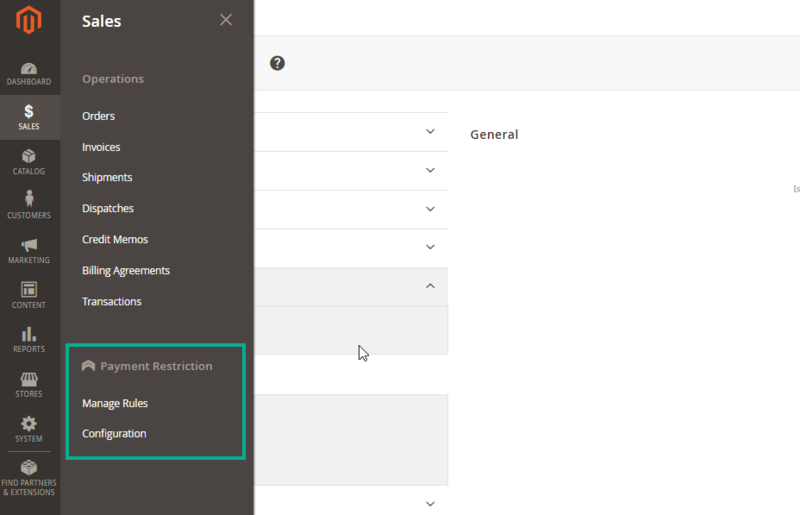 Admins can easily select condition as Cart Subtotal then apply the rule with specific suitable payment methods. 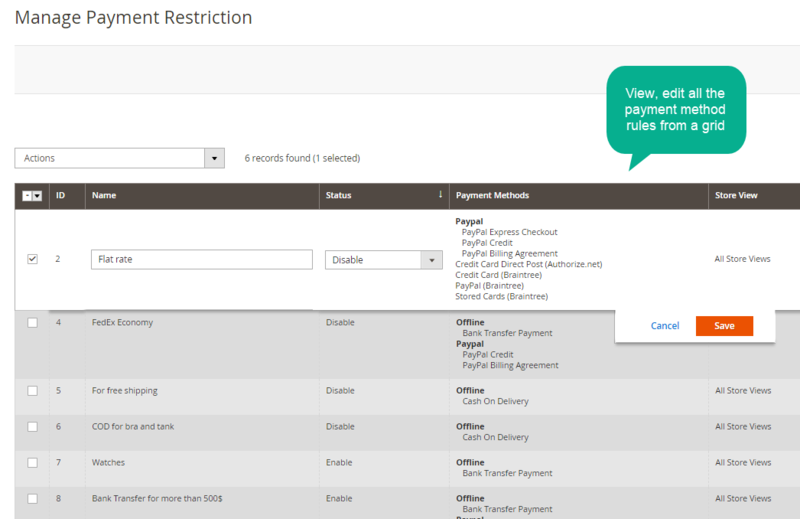 Each restriction rule for payment can be selected to apply for Frontend Orders or Backend Orders or both cases. This is an important feature of Payment Restriction. From the storefront, the payment methods can be allowed to display on Minicart, View Cart Page, and Checkout Page. This module is properly compatible with Mageplaza One Step Checkout. 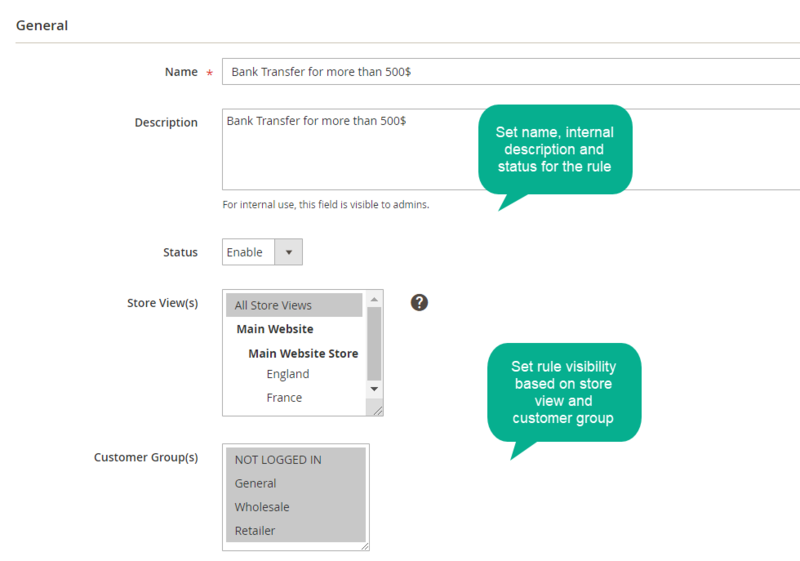 Otherwise, with special orders ( with very high value or from special customers) which store owners would like to set the rule for these orders only visible from the backend, Payment Restriction module can support well. 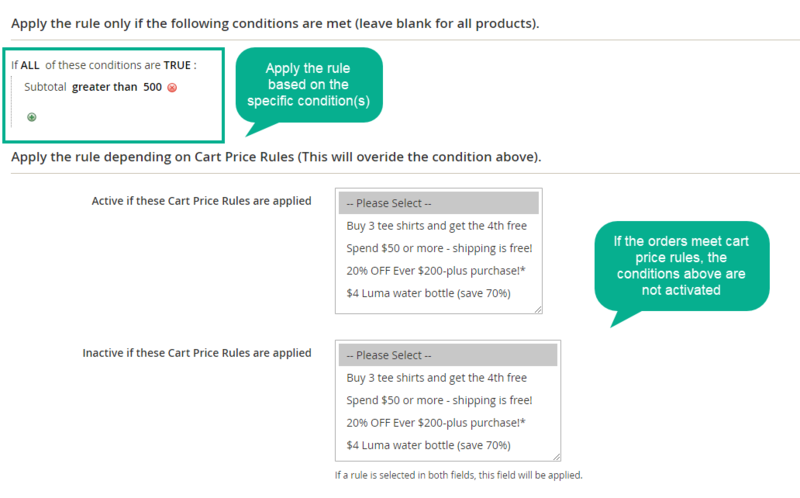 The validation of the conditions applied for payment restriction depends on the Cart Price Rules. 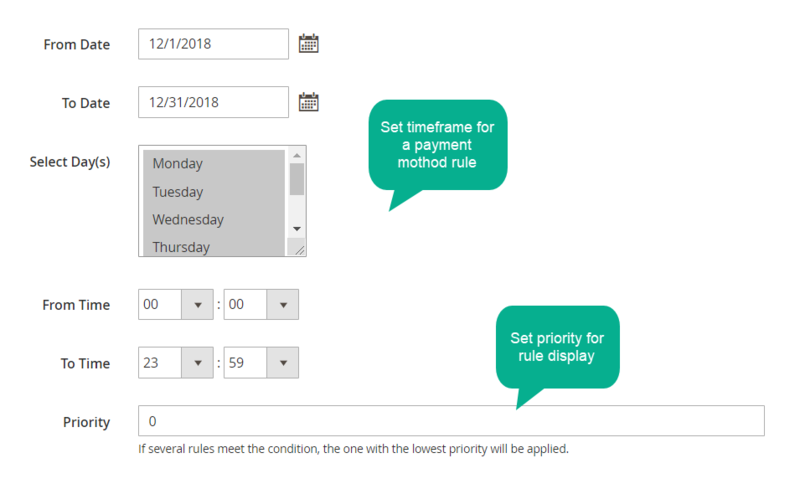 The time period in which the rules are activated can be set easily from the backend. 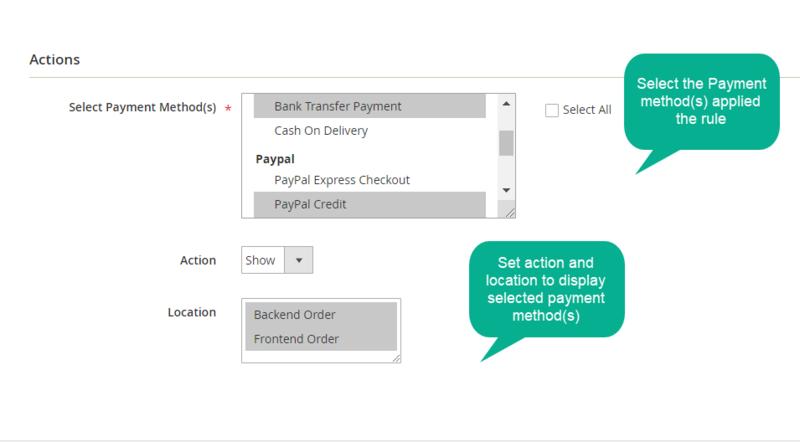 The payment methods can be displayed properly on the check-out page from OneStepCheckout extension by Mageplaza. Select conditions (product attributes, subtotal, shipping method) to use their wished payment methods.